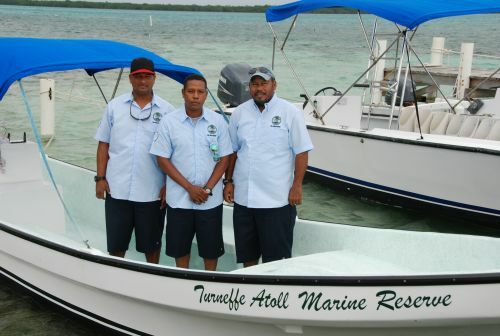 Quality enforcement of fisheries, tourism and development regulations is key to the sustainable management of the Turneffe Atoll Marine Reserve, and effective management of Turneffe's commercial fishery is a primary goal of the Marine Reserve. 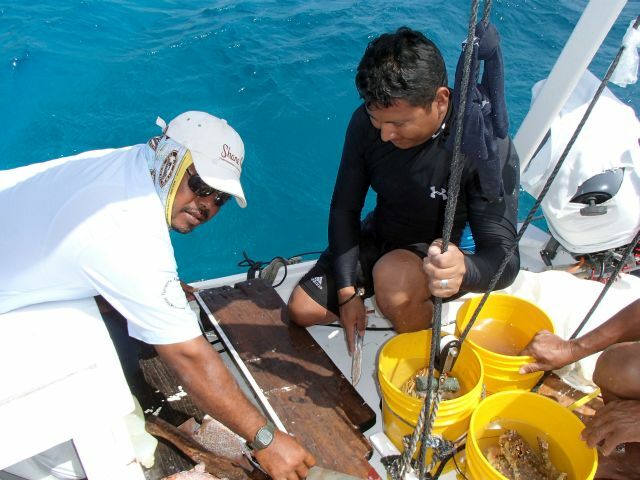 Quality enforcement, in addition to replenishment zones and other fisheries management interventions will play a vital role in ensuring a sustainable commercial fishery at Turneffe. Three Ranger Stations are planned for the Reserve. One is to be located in the Northern part of the atoll, a second in the Central Lagoon and a third at Calabash Caye. A temporary Ranger Station, with four Rangers, has been operating from Turneffe Flats since December of 2013. 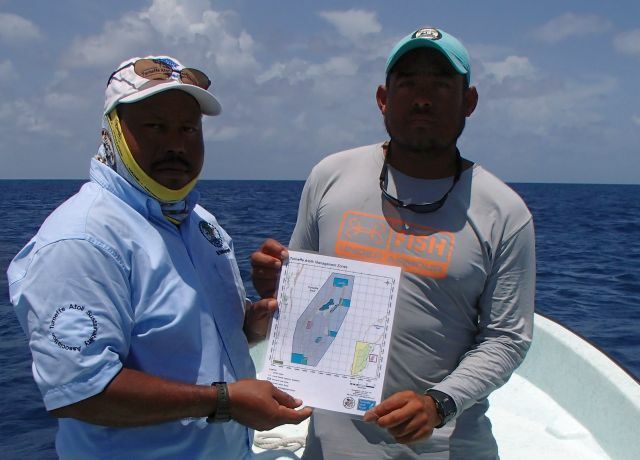 In addition to patrolling, education of fishermen and other stakeholders about the rules and regulations of the Reserve is an important part of our Rangers mission. Fishermen are constantly being informed about the rational for enforcement, the reason for zoning and other pertinent matters. 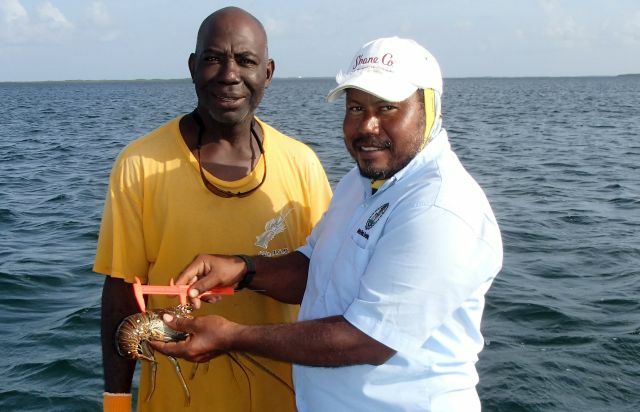 For instance, calipers for accurately measuring the size of their lobster and conch have recently been distributed.